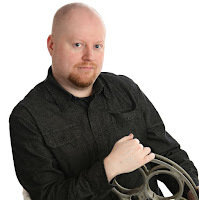 In a genre standard where the movie camera amplifies the often disparaging final moments of human life, recent films like “The Poughkeepsie Tapes” and “Captivity” seem like nothing more than faint echoes when held against the defining catalyst that is Michael Powell’s “Peeping Tom.” Initially regarded as one of the most dangerous films ever made – and shocking enough to effectively put its famous director on the unemployment line – it came and went in the early months of 1960 with startling fallout, and the controversy it inspired continues to haunt many of those associated with it. There is a knee-jerk curiosity surrounding its existence that perplexes movie historians to this day: how did a director of fairly straightforward films find the nerve to immerse himself into the dark nature of a story like this, and without any sense of restriction? Even now, his radical shift in reasoning plays like a dual curse; young eyes eroded by the visual excess of modern times may absorb its images without grasping their initial potency, but the story’s psychological implications continue to declare themselves profoundly on our rattled cores. So many movies about the most depraved of life-takers also function as therapies for their audiences; this one makes us accessories to deplorable deeds, and rejects all opportunities to find relief from them. No film up to that point – no, not even the devious fantasies of Alfred Hitchcock – was so driven by thematic chaos. In 100 minutes of relentlessly confining images, here is a narrative that tells the very startling tale of a man lost behind the lenses of his own moving pictures: a being so greatly weathered by the devious lessons of a controlling and antagonistic father that he grows to see fear as the most powerful of emotions… and a camera as the safest barrier between the depravity of his actions and the acknowledgment of them. As an ironic metaphor for the prurient nature of detached observers seated beneath the bright lights of a theater screen, the frontal implications of the director’s prowess may have seemed almost perverse in nature. But all ideas – shocking or otherwise – must rest on the folds of a compelling narrative and vivid characterizations in order to resonate beyond initial shock value. When we detach from the alarming stigma of “Peeping Tom” and explore it deeper, what we find is a movie not so much in awe of details as it is in respect of them. This is a film so precisely devoted to the compelling nature of effective storytelling that we watch on without boredom, eager to see just how far the material will take us even while we are resistant to surrendering entirely to the philosophy that all of us, in some indirect way, play a part in an almost fetishistic desire to see the reactions of a human life right into its final horrific moments. The movie spares no time in arriving at the epicenter of that condition. The first scene plays like the starkest of acknowledgments: in it, we see the figure of a man concealing an old film camera cautiously stalk a woman alone on the street, who then turns around to passively receive him as, we suspect, the latest of a long list of gentlemen callers. Undoubtedly using the parallel nature of Jack the Ripper’s crimes as a launch point, the movie follows the prostitute into a nearby apartment – at first through the eyes of her John, and then through the perspective of his four-panel film camera, which owns the frame for the remainder of the scene. As she undresses in preparation, a click in the background rouses her to notice, and a light from behind the mysterious visitor robs her of the opportunity to conceal impending anxiety. The camera lurches towards her with slow intent, and that confused gaze is quickly replaced by panic and anxiety – all before one final close-up, when her last moment of breath is forever preserved in the imprint of one horrific moving image. Because her death sets the precedent for the remainder of the movie, later revelations come to pass with almost deadened visual impact (though no less psychologically resounding). Soon after the discovery of her body, we meet her reclusive culprit: Mark Lewis (the dapper Carl Boehm), a part-time photographer – and focus puller for a British film studio – who barely registers as a living or breathing being unless his hands are in possession of his old film camera. In isolation, he sits quietly in a darkened room while a projector plays through the countless lurid images he has captured; in public, there is scarcely a moment when that device is not swung over his back, its presence as a lifeline apparent even as he begins engaging with new strangers. One of them – a beautiful redhead living downstairs named Helen (Anna Massey) – even rouses his intrigue beyond the depraved implications of his hobby; she is fascinated by his quiet (almost naïve) nature, and invites herself into his apartment without regard to the likelihood of danger. As their awkward conversations pass time, Mark’s mind visibly wanders to dark thoughts. She asks questions with enthusiastic intent; he responds in short passages, and then pulls her into the back room to view some of his films. The ones he shows are a collective act of exposition: filmed by Mark’s father, they show a scientist who specialized in the study of fear, and exposed his son to so much psychological torment (all while recording the actions) that they set the precedent for who he would essentially become. Because Helen views these with a sense of alarm underlined by genuine sympathy, Mark comes to see her as a person rather than another figure to be lost behind a lens, further complicating the manner of his routine as he continues to descend further into self-inflicted madness. Because Powell implicates a parental figure in the shocking development of his villain, “Peeping Tom” does an unthinkable thing with its primary subject: that is, offer a sense of understanding into how he functions, and why he does what he does. In some instances, that also makes him identifiable, though unforgivable; though the movie plods through his nightmarish impulses in ongoing protest of his actions, there is never a sense that any of them are out of context with what he was conditioned to be from an early age. In some cases, that also makes him horrifically calculating – the film’s best scene stresses this to explicit detail, in which he entices an eager extra named Vivian (Moira Shearer) onto a movie set so that he can photograph her in various stages of playfulness. Powell does not rush through this sequence in order to arrive at the moment of fate; Mark banters with an enthusiastic Vivian as he cautiously prepares all of the lighting and props around her, and her liberated nature shows a woman enthralled with the glamorized allure of being frozen in the images of a movie scene. Suggestive dialogue ultimately undermines that certainty, and then another shocking reveal: a knife, hidden under the leg of the camera’s tripod, is pointed towards her while the man behind the lens inches closer and closer, possessed by an instinct that, by that point, seems almost inevitable given the childhood that created him. Later, when Vivian’s body is discovered in a trunk on set, her killer is in such ecstasy over his own proximity to it that he quietly films the horrified reactions – a compulsory action, one suspects, of any killer who takes pride in the artistry of his misdeeds. 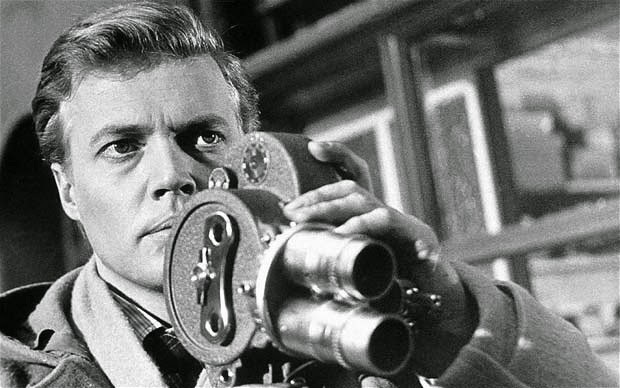 A movie of modern times more often than not would deal with such ideas without competent technical strokes; “Peeping Tom” bathes the material in production values that are startlingly ambitious. Otto Heller’s cinematography seems to portray the material as if ripped straight from an intense nightmare; his glaring use of color allows bright shades to bleed into one another, and some are contrasted against muddier tones as if to imply these characters no nothing of a moderate existence. Some of the images – including a climactic shot in which Helen’s face is seen horrifically distorted through Mark’s lens – even play like momentary schizophrenic episodes, and because they are usually surrounded by photography that treads through lives without obvious emphasis to underlying insanity, their immediate austerity is often remarkable. These were not exactly unique qualities for Powell as a director – especially after “Black Narcissus,” one of his most accomplished films technically – but to see them used as the skeletal structure for a story of almost exploitative nature is to sense the dedication he has to this premise. It is because he refuses to remain aloof from his severe implications that the film lives and breathes its horrors, and ultimately penetrates the membrane surrounding our cerebral defenses. If “The Cabinet of Dr. Caligari” marked the origins of cinema’s cautious relationship with the serial killer, then “Peeping Tom” was the first that implied he could be the byproduct of the same voyeuristic connotations that make us all avid moviegoers. Mark’s greatest instrument of destruction – a camera that he winds with vigorous intent – also functioned as the blueprint of a new suggestive thesis in movie psychology: because it is used for such horrific intentions and viewers are forced to endure them from a first-person sensibility, they become part of an elaborate and shocking metaphor of inner blame. That it also bothers to reach a sympathetic core with the same man who choreographs so much impending tragedy is perhaps the most unforgiving of those allegations. Did our fascination with the murderous minds of movie characters inevitably give birth to this perspective? Was there an overpowering desire to identify with such a thought process? Does Powell confront this suggestion with irony, or literal truth? Something about the almost abnormal nature of those insinuations served only to infuriate the earliest of the film’s audiences, and after opening to almost universal rejection it was yanked from theaters like a pariah invading the quiet comforts of our hushed imaginations. One must marvel at the irony of the movie’s initial failure. Though the film was actually released just a few weeks before Alfred Hitchcock’s “Psycho” tore its way through theaters, the latter of the two was regarded with very positive emphasis. Some of that may have merely come down to the acknowledgment of professional stamps; Hitchcock dealt with the murderous intentions of characters long before any other British filmmaker and was seen as fluent in understanding their corrupt nature, while Powell’s descent was regarded as less obvious and more disconcerting. In truth, his was also the most challenging as a cerebral essay; because Mark emerges from a relatable space rather than a detached sense of psychosis like Norman Bates does, that made him as identifiable as anyone seated next to us in a screening room. The great Henri-Georges Clouzot experimented with this implication with his “Diabolique” just a couple years earlier, but at least offered his murderous characters a groundwork that would inform their need to resort to deplorable actions. 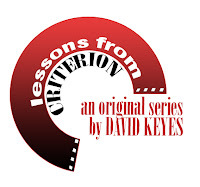 By the time Mark Lewis invades our consciousness, he is already so enamored by his own power over human life that its effect plays against a natural instinct to observe with curiosity, and our fascination is crushed by the stark vulgarity of his actions. Minds of the distant past saw that suggestion much more harshly than anything Hitchcock could conjure, and ultimately damned Powell’s world to the shadows of exile. Nonetheless, the movie’s profound influence persevered – often because it became cited by later filmmakers as such a critical inspiration in understanding the possibilities of forward-thinking cinema. Martin Scorsese, arguably the greatest of the film’s champions, continues to regard it as one of a handful of movies that taught him everything he needed to know about moviemaking (his praise predates that of Wes Craven’s or Brian DePalma’s, and film circles believe it is he who is single-handedly responsible for its successful revival a decade later). Movie journalists (and entertainment outlets) once stirred by the initial furor now cite it amongst the most important of genre benchmarks: one of those rare endeavors that suffered the rejection of audiences too primitive to understand the context but would go on to inform the modern sensibilities of an entire genre. When one considers where we stand in comprehending the mechanics of a killer’s mind in the movies, it is no wonder. Without Mark Lewis punishing us with his deplorable insights, what would have become of our appreciation of Hannibal Lecter? Without Powell’s audacious desire to engage that homicidal mind with almost passive acceptance, how would have one ever found a movie like “Henry: Portrait of a Serial Killer” fascinating or redeeming? And of more recent examples, how would the “found footage” sub-genre of horror have functioned if the deathly gazes of a group of women were not so brazenly captured by Lewis’ own intruding camera lens? Our tolerance of these realities was made so all because of one deafening glimpse into the perverted voyeurism of a man’s psychotic tendencies. *Note: "Peeping Tom" is currently out-of-print in the Criterion Collection, but remains available on Amazon Instant Watch (both for purchase and rental). "Peeping Tom" is the eleventh article in this series.